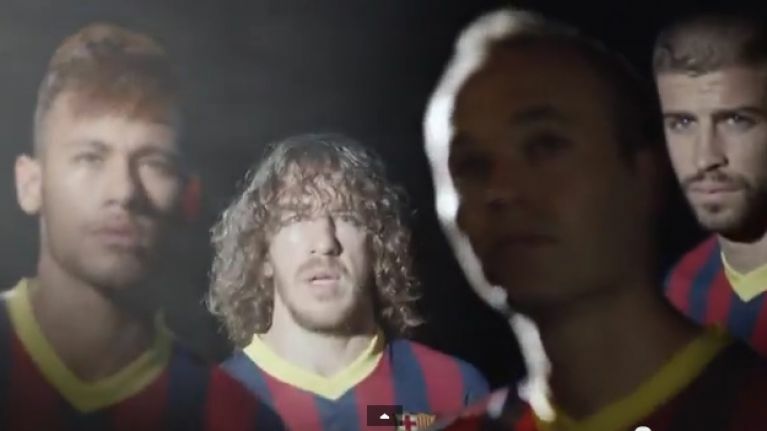 The great and the good were out in force for Barcelona’s latest ad with Qatar Airways and we have to say, it is a pretty good effort. While many will lament the commercialisation of the Catalan club after deciding not to use a sponsor for so many years, the financials dictate it is almost a necessity in the modern game. And to give Qatar Airways their dues, at least they did not go down the route of making a cringe-worthy ad which seem two-a-penny at this stage. Iniesta and Busquets show their skills as artists, Neymar demonstrates his neat footwork at the airport which is always handy, while captain and leader Carles Puyol makes no bones of his commitment and desire by launching himself into a header, of a potted plant. Even Gary Lineker makes an appearance as a taxi-driver. Even one particular signpost should bring a smile. And above all else, the choice of soundtrack is spot on. Trains in Barcelona's main station evacuated following reports of a "luggage bomb"